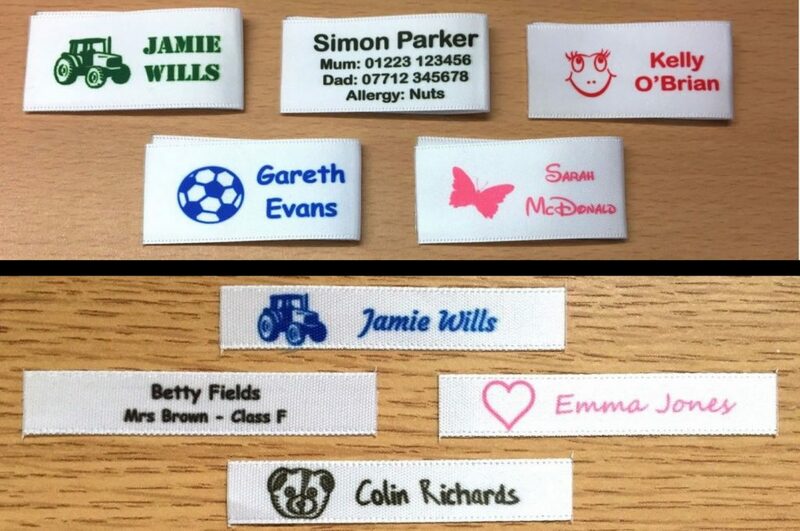 We sell a full range of personalised name labels for clothes, they are available in several sizes including popular 10mm/25mm and are made from super soft double sided satin ribbon. Our name labels are the sew in type and whilst they aren’t as quick as iron-on name labels to put into clothing ours if sewn correctly will not fall out which means they last longer. Additionally, our name labels are guaranteed to be fade-free, highly personalised and much longer lasting compared to similar looking products. All of personalised name labels are made at our Cambridge UK production facility using a bespoke process which we have developed over several, whilst our name labels look like other similar products they are much different. The process we use ensures labels do not fade, we have tested our labels in both bio and non-bio washing detergent along with very hot washing temperatures and even soaking them in bleach with no adverse effects. This means you can be confident that you’re using a quality product that will look great and is much longer lasting compared to cheaper alternatives, our labels will outlast the clothes they are placed into. That’s not all either, we have a huge range personalisation options by standard including 10+ fonts, 20+ solid print colours and over 50+ optional motifs in various categories including: girls, boys, animals, transport, sport and many more. 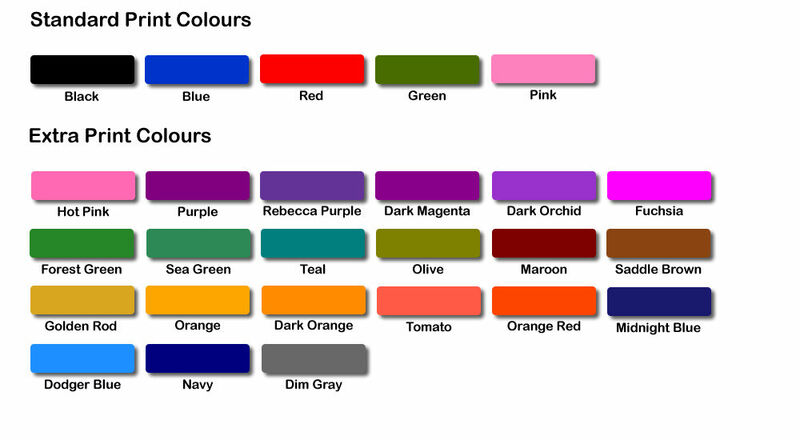 We can also print in full colour which includes photos and we can match any school or nursery colour scheme if needed. Our name labels offer many advantages over cheaper simliar looking alternatives, we have sold thousands of personalised name labels to many hundreds of happy customers.